For those so inclined to do so, there are few quicker ways to upset a Spurs fan this season than by using the terms “one man team” and “Gareth Bale” in the same sentence. Yet the facts are there for all to see. Bale has scored in each of his side’s last four league games, taking his tally to 20 for the season. Not since Jurgen Klinsmann 18 years ago has a Spurs player been so prolific. Spurs’ next three top goalscorers, Jermain Defoe, Clint Dempsey and Emmanuel Adebayor can only equal that return if one adds their season tallies together. But it’s not just the number of goals that has set Bale apart. It has been their importance. Of his 20, 13 of those have been crucial strikes, directly changing the outcome of the match, converting losses to draws or draws to wins, boosting Tottenham’s chase for the Champions League. It is for good reason that he has wiped the floor during awards season. So at the risk of further antagonising Spurs followers, Chelsea boss Rafa Benitez will focus his main attention on Wednesday evening to one thing. Stop Bale, and stop Spurs. And Chelsea are well placed to stifle. They sit in third place, one point ahead of Arsenal, who have played a game more, while Spurs lie fifth, three points behind the Blues. 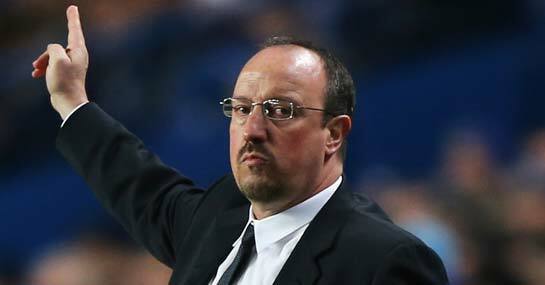 Andre Villas Boas’ team need the win, while Benitez can be satisfied with a draw (at 13/5). Not only that, but with three clean sheets from their last four league games, the Blues are showing the sort of defensive resilience they were famed for under Jose Mourinho, just as the Premier League-winning boss is being linked with a return. Having rotated his defence in each of their last four league ties, Benitez may opt to recall one of Gary Cahill or John Terry and deploy David Luiz in midfield, with the task of shackling the free-roaming Bale. Bale is 11/2 to score first, but should Chelsea’s disciplined defensive line continue to prove just as impenetrable, the punt on a home clean sheet at 21/10 will prove more fruitful, while Chelsea to win to nil is a tempting 14/5. Tottenham’s recent record against Chelsea is another cause for concern. They lost 4-2 in the corresponding fixture back in October, they haven’t beaten their London rivals for over three years, and their last success at Stamford Bridge was way back in February 1990.